Mechanics Tool Set (185-Piece) This comprehensive Mechanics Tool Set from Husky includes a generous arsenal of sockets, wrenches and bit sockets to complete nearly any fastening task big or small. Each instrument's measured capacity is deeply engraved into its body, providing wear resistance for years of easy readability. A corresponding compartment for each tool is molded into the plastic storage case, making it easy to identify and transport each of the 185 pieces in this set. These durable tools are forged from chromium-vanadium steel designed to stand up to the rigors of frequent use and are coated with a protective finish that wipes clean easily and inhibits corrosion. 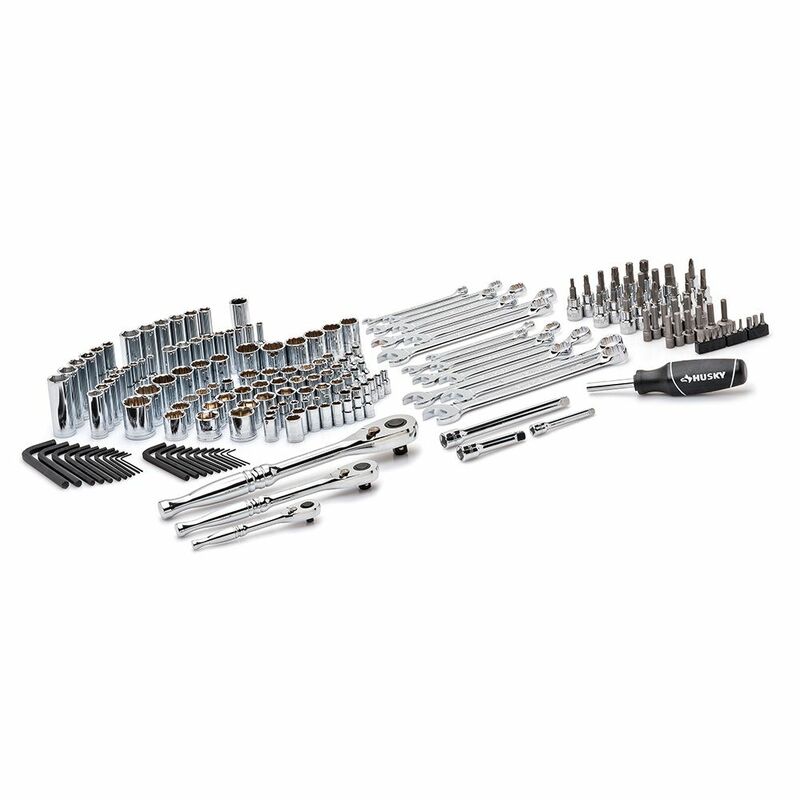 The 100 different standard and deep sockets along with the 15 combination wrenches and 19 bit sockets allow you to tackle any fastening or repair project. This is the perfect portable set for both professional and DIY mechanics to get the job done. Mechanics Tool Set (185-Piece) is rated 5.0 out of 5 by 1. Rated 5 out of 5 by Gary Mui from Best tools at best price I bought this last month, they are so good, and the price is unbeatable! Hi Paul, this item is covered under Husky lifetime warranty. You can take your hand tool without a receipt and return this product for a new one at your local store.